Tonight one news article caught my eye – the one about the teen, Amanda Todd, who committed suicide this past Wednesday (less than a month after her struggle with bullying and self-injury throughout the past years was told via a YouTube video). Yes, I watched the video. And yes, it moved me as it did millions of people around the world. Some of the comments posted are ruthless (no surprise there), others are completely sorrowful; everyone else has mixed feelings. Not to sound harsh, but from an objective p.o.v. this is another case of someone telling their story publicly (thinking of Stacey Dash’s recent public support for Romney) – it’s bound to be chewed up by the media and by people at home wanting desperately to put their opinions out into cyber space. Onto the meat of this post. ABC News described the video as “chilling”, and I agree. It’s unnerving to think that this girl was alive in September and gone in October. Cyber-bullying among teenagers is an issue addressed more and more nowadays. According to dosomething.org, “Nearly 43% of kids have been bullied online. One in four has had it happen more than once.” The reality is some, unfortunately, get pulled into the web of blackmail, embarrassment, shame, anxiety, etc. 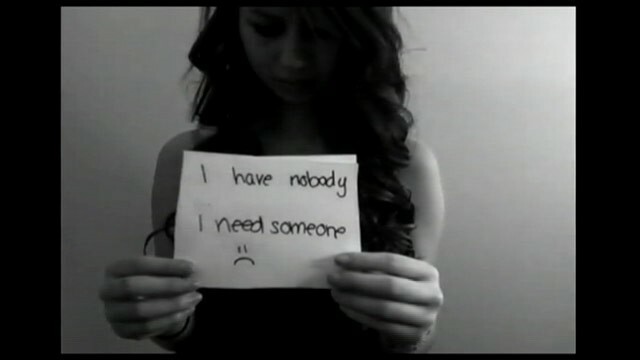 We can all agree Amanda Todd made a mistake, but does that give people the right to shun her for it? I think not. We’ve all made mistakes, done stupid things, wanted to feel accepted/start over and felt that we had no one at some point in our lives – that’s what makes this video relatable. Another thing that is “chilling” is the anonymity of persons on the internet. It’s terrifying how much of an affect a stranger can have on your life – from boosting your self-esteem to succeeding in ruining your life. This 15-year-old is not the first nor the last yet she represents teens everywhere who are fighting this serious battle alone (“90% of victims will not inform a parent or trusted adult of their abuse.” – dosomething.org). Kids will be kids, but our world needs a lesson in ‘compassion’ (again thinking of recent Stacey Dash news, not at all suggesting she will have the same fate or that the two stories are of the same magnitude) right after a (hard) slap on the wrist and a serious time out. Whether the perpetrator is younger than 18 or not, it’s inhumane to put someone down because of their mistakes, beliefs or opinions and that’s something I will make sure to teach my kids in the future.